Waak Waak Djungi - Waak Waak ga Min Min. Vinyl LP, CD. Bleep. Big curiosity here from Noise In My Head curator and Efficient Space label owner Michael Kucyk. 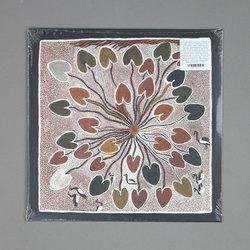 Downtempo acid trance, drum computers and late 90s production methods converge with the songs of indigenous peoples of the Arnhem Land in an interesting cross-cultural artefact that all but faded into obscurity but for a chance encounter in a radio station archive. ‘Black Crow, White Cockatoo’ combines ancient folklore sung in Djinang and Gannalbingu with the kind of dreamy, FM synth styles Len Leise or Luka Productions have championed in recent years. Recommended for fans of MFM, Seance Centre et al.